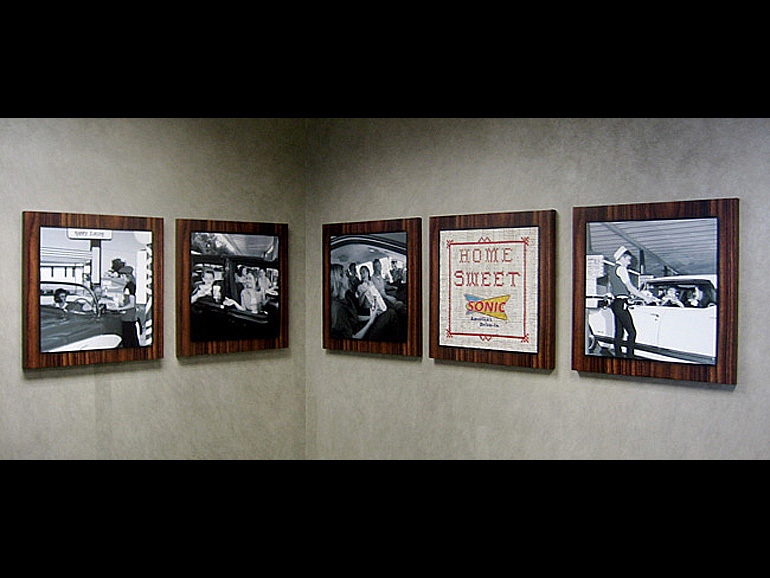 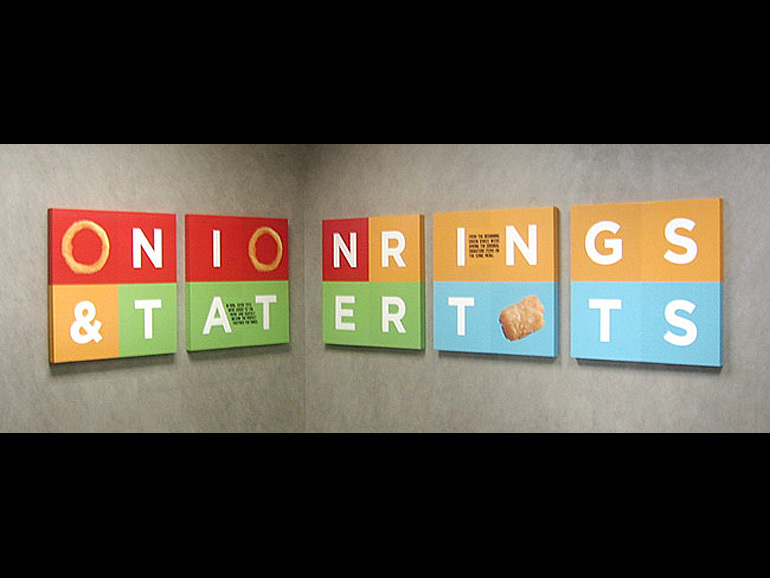 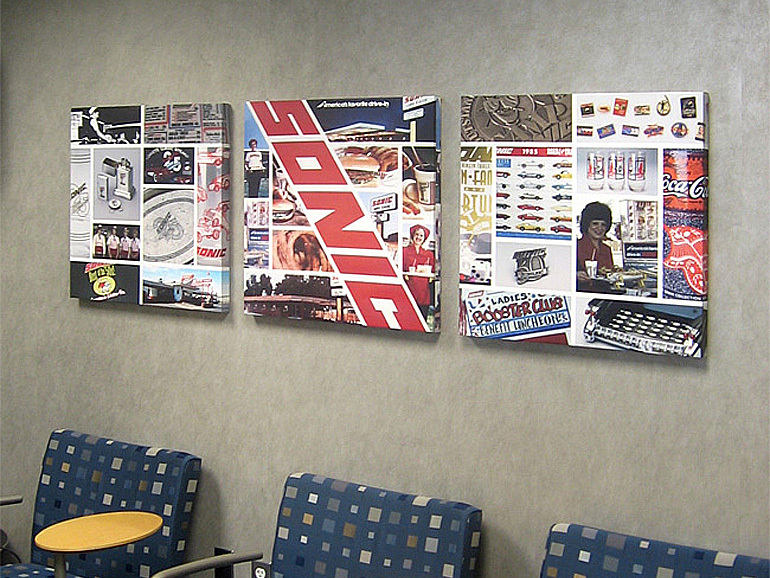 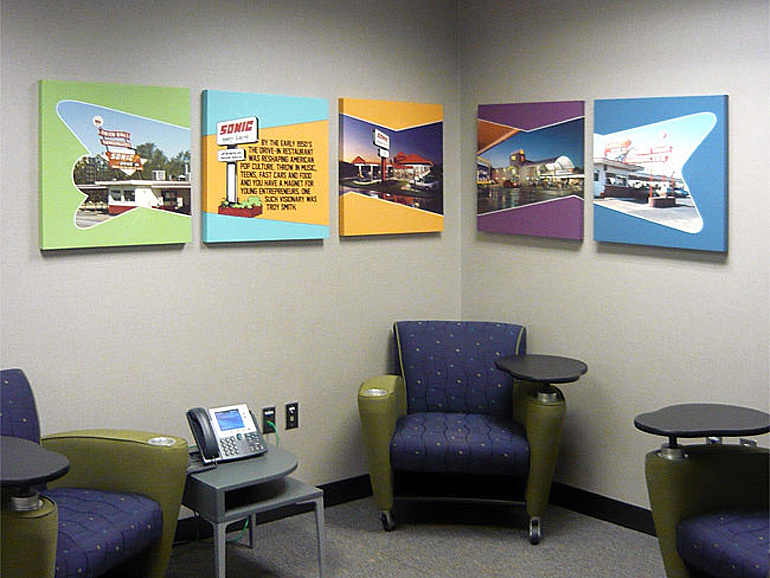 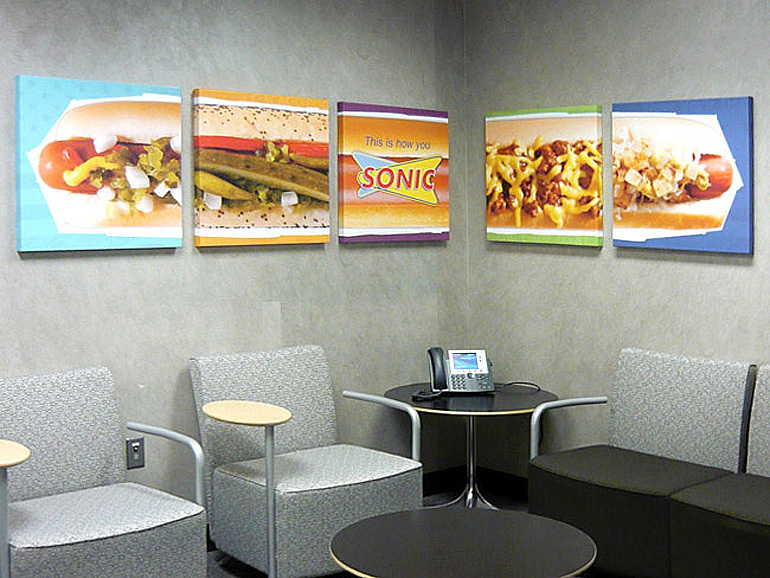 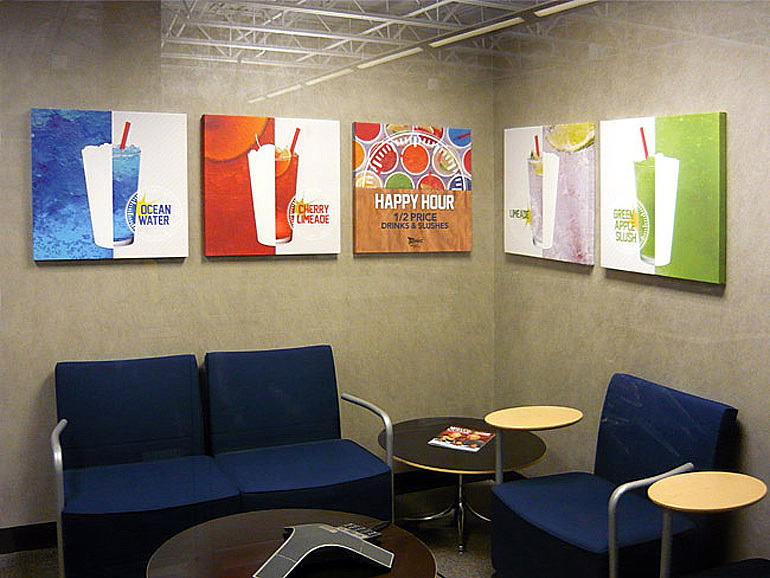 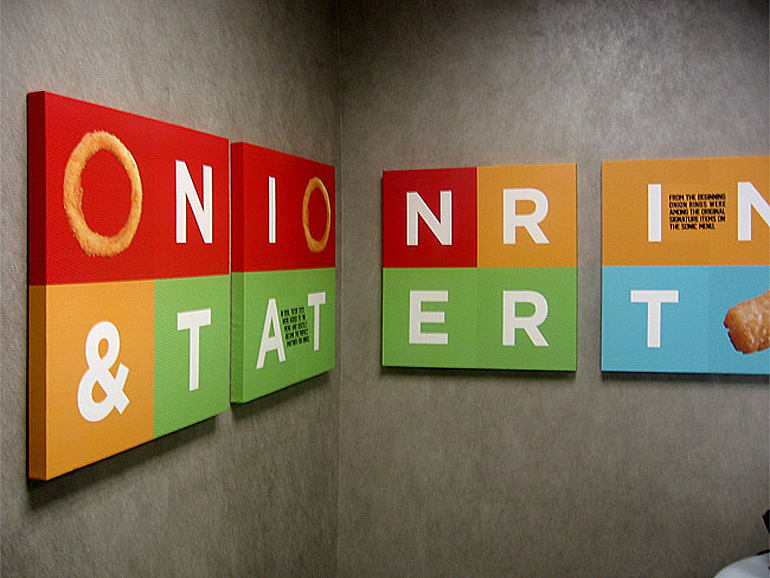 Sonic’s Headquarters in Oklahoma City, Oklahoma (designed by RMTA) features custom historical canvas murals developed around their corporate history in effort to educate and inform the employees and staff that frequent the campus. 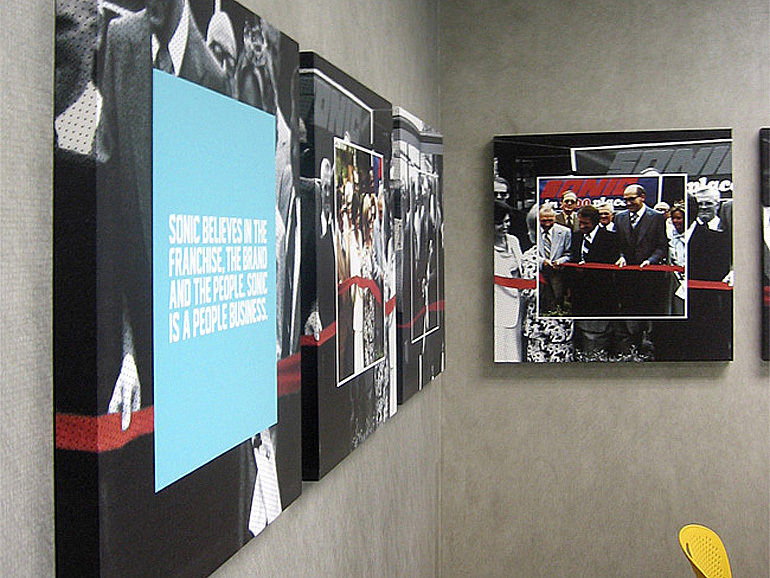 The internal conference and meeting rooms each display a different “moment” from Sonic’s history. 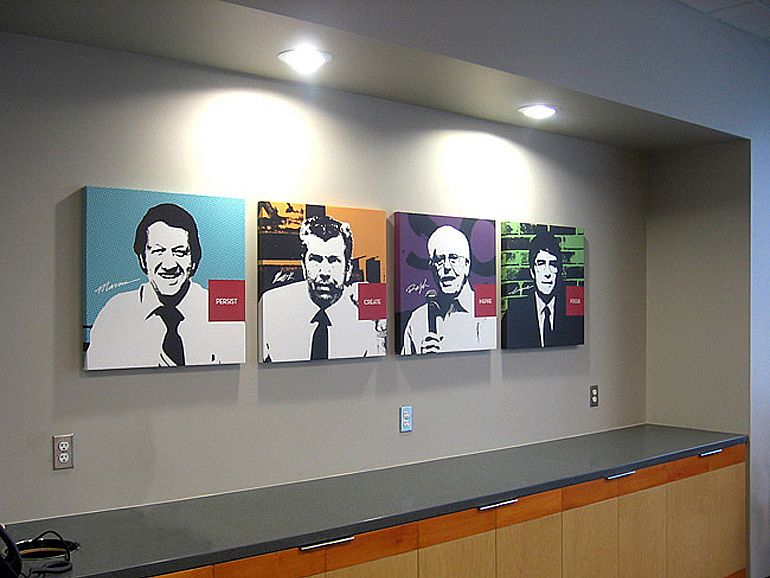 Several rooms reflect on past leadership while other rooms focus on successful product or innovation.